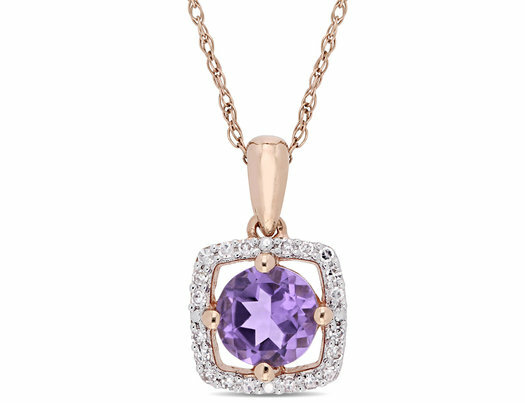 This charming halo square necklace is crafted in brilliant 10-karat rose gold and features a striking amethyst at the centre along with dazzling diamonds around it in a square halo. Crafted to brilliance with a classy finish this pendant is sure to add glitz and glamour to any outfit. Coordinate this versatile necklace with any ensemble from business casual to everyday wear.